One of the best ways to build a solid, consistent sales business is by focusing on skincare. When you sell skincare, you tend to have very loyal customers who a placing a good size order on a regular basis which of course leads to bigger orders and greater earnings. Building a solid Skincare business starts with becoming a Skincare Expert. 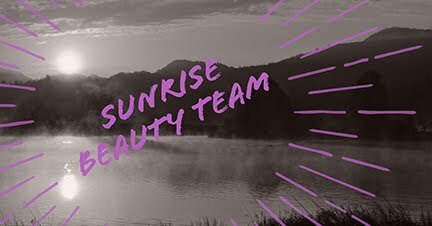 You have 2 fantastic new opportunities to expand your skincare expertise through Avon University. First up you have the The Avon Anew Skin Care Specialist Clinic. A series of online courses that will show you how to open the door to new Customers with Anew! The new courses give you the tools you’ll need to speak confidently about one of Avon’s most recognized brands. This easy to follow course helps you to introduce your Customer to an Anew skincare routine she’ll love. Once you become a Skincare Specialist you can then register for the Skin Care Expert Workshop. This is a live workshop where you will learn all you need to know about skin and Anew skin care products to keep your Customers coming back for more. The $100 registration covers your in-person training and the Anew Skin Care Clinic Kit with full size products valued at $160. This week's training ties into out last Meeting in Your Inbox topic, networking. Sam Horn is the Intrigue Expert, a world-renowned Author, Keynote Speaker and communications strategist who has coached the world’s top entrepreneurs and executives. Get it Done Guy, Stever Robbins interviewed her about "A Better Elevator Pitch"